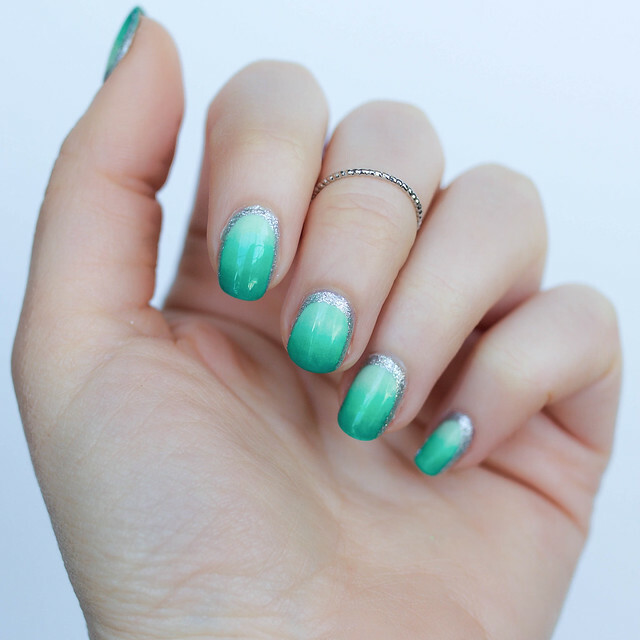 I’ve been pinning different St. Patrick’s Day nail art inspiration for weeks and I even did a Mode.com story about the best St. Paddy’s Day Manicures, but when it came down to painting my nails for the holiday I tossed all my prior ideas out the window and went with a green pastel ombré manicure instead. This might not be the in your face festive nail art that you expect me to create for holidays, but I love it just as much. 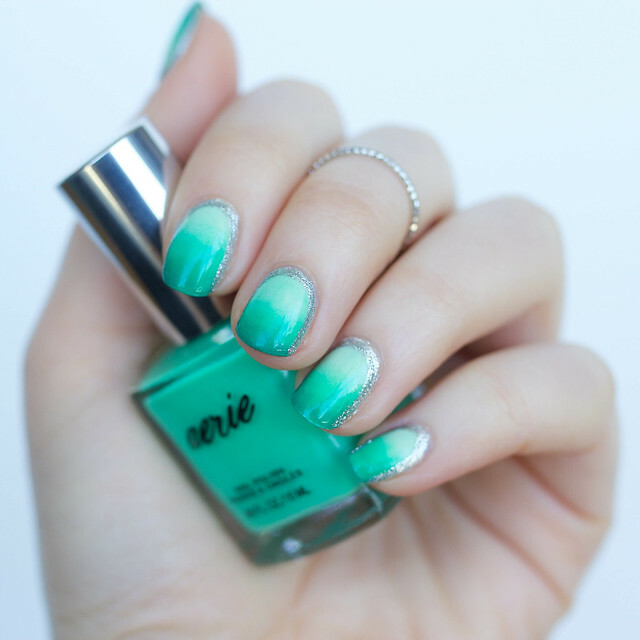 The best part is that this minty manicure is not only perfect for St. Patrick’s Day, but it can also work for Easter (which is less than 2 weeks away!). I don’t know about you but the only thing better that a super festive holiday manicure is a super festive manicure that works for two holidays! Am I right, or am I right? you are right mr. papagiorgio! (vegas vaca reference!) 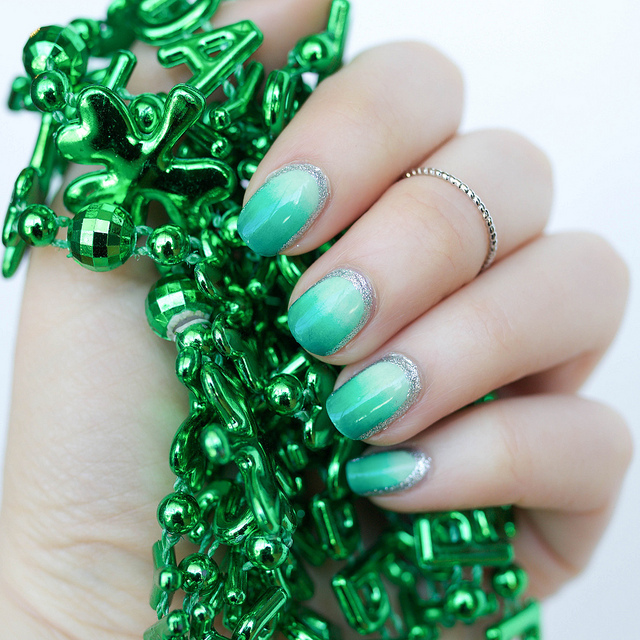 but that's my struggle too i'm feeling my easter pastels not my green st. patty's but this is a combo of the two! So pretty, I love the silver accents!